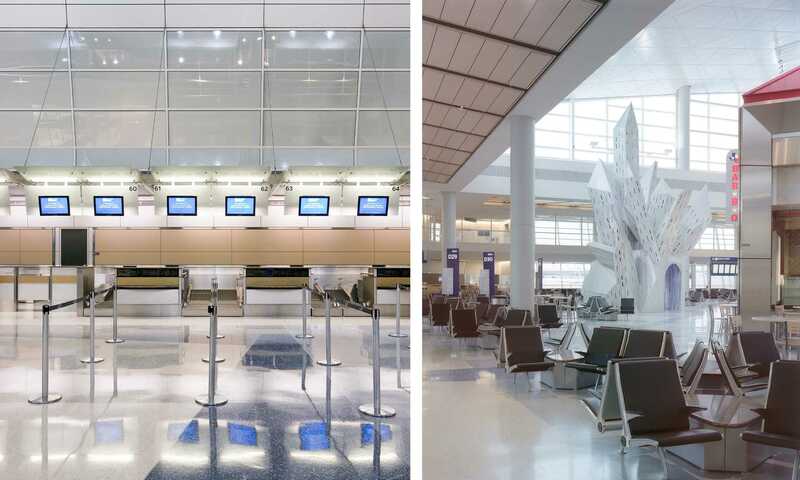 To position DFW International Airport as a leading international airport by creating a Dallas/Fort Worth-branded terminal with modern amenities and flexibility to accommodate future technologies and concessions offerings. 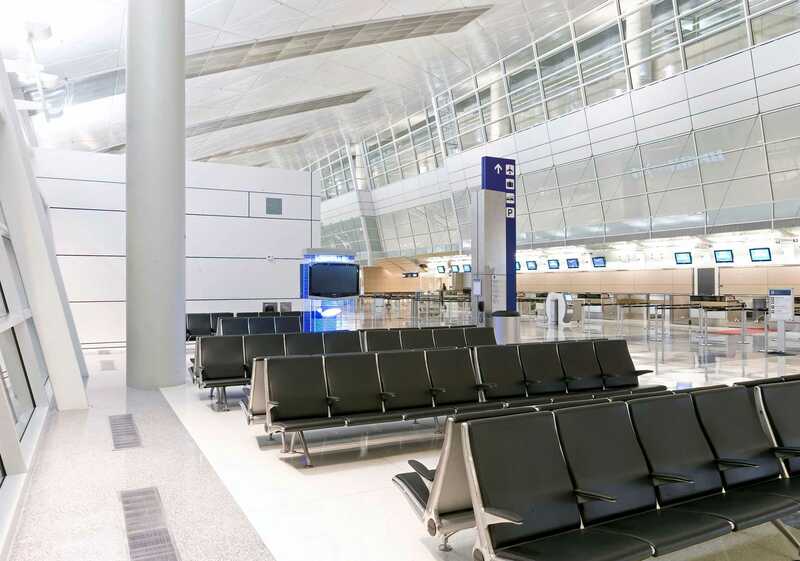 In one of the industry’s first “Big Rooms,” the entire project team worked collaboratively to design a terminal that would evolve and adapt to needs, trends and regulations over time. 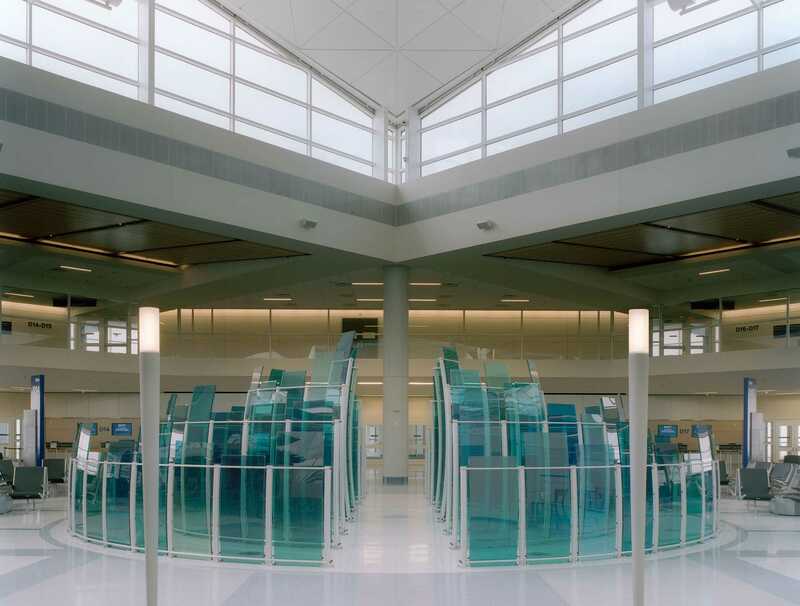 The 2.1 million-square-foot, $1.2 billion DFW International Airport Terminal D program opened in 2005 as one of the first newly constructed terminals after September 11th. Yet passengers don’t notice the embedded security features that address post-9/11 security requirements because they’re seamlessly integrated into the design. The designers went even further with Terminal D by ensuring it remained responsive and anticipatory to industry changes, additions and adaptations, allowing the terminal to remain at the fore of responsive aviation design. Terminal D conveys a timeless environment and regional gateway that is adaptable to the constantly changing demands of revenue development and new technologies. HKS, as managing architect and design collaborator, was responsible for the overall execution of the project which included the terminal with retail, national and regional food and beverage offerings; premium lounges; a fully-integrated Grand Hyatt hotel and a new central utility plant, an 8,100-car parking garage, a connecting Skybridge to Terminal C and roadway improvements. DFW’s Terminal D was designed in collaboration with HTNB and Corgan. 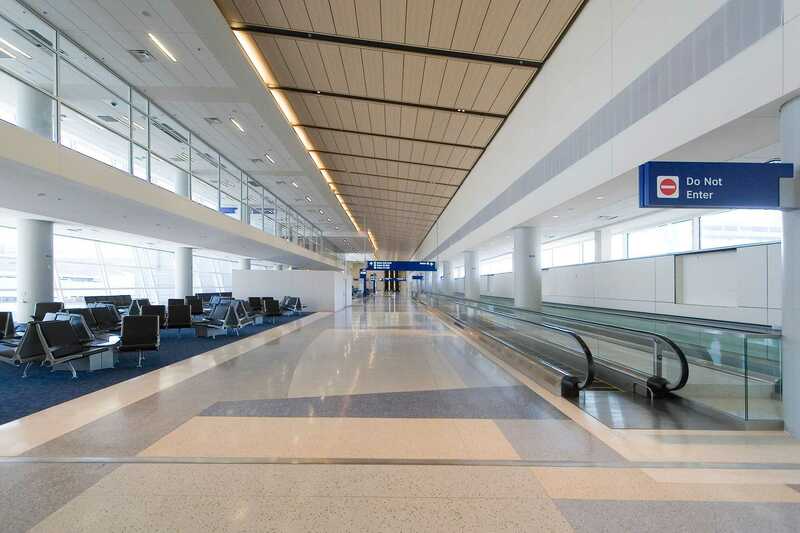 According to The Perryman Group, an economic and financial analysis firm, DFW International Airport Terminal D has a current $37 billion annual economic impact to the North Texas region.